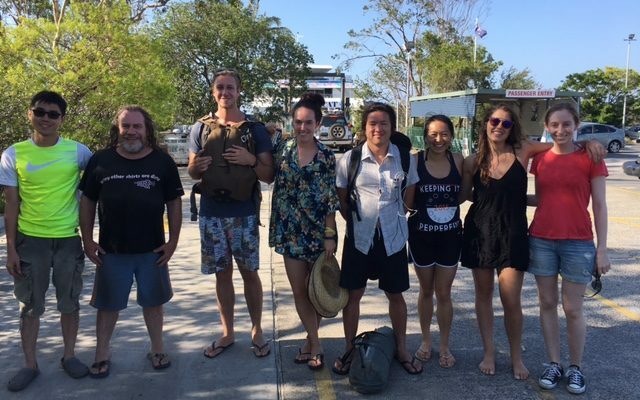 Because Moreton is an island 40km off the coast of Brisbane, it is somewhat protected from invading species of plants and animals – but of course not immune! 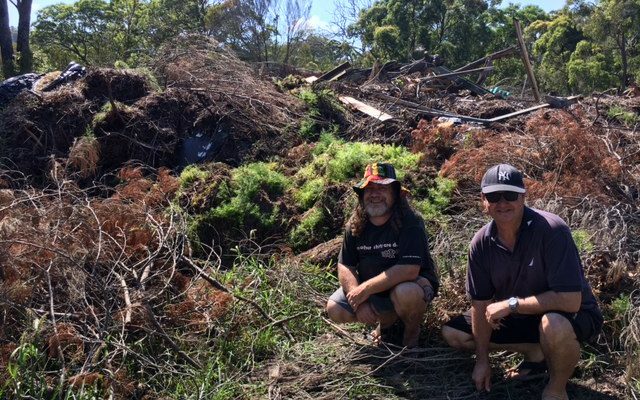 Invading pest species of weeds and the potential threat of cane toads (read more about how we tackle those here) are a serious problem and the island relies heavily on volunteer programs to control the influx. Special thanks to Greg Curtis for the article below which describes their recent attempt at removing one of the threats. 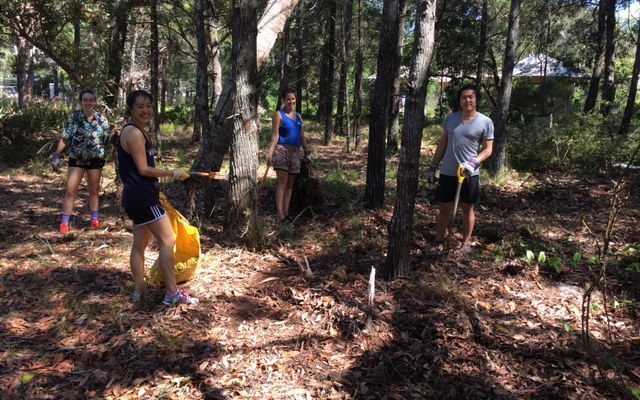 In response to escalating problems of weed infestation in the Moreton Island townships, and concerns by NPWS of encroachment into the National Park, the first Bulwer Weeding Weekend was held on December 2-4, 2016. 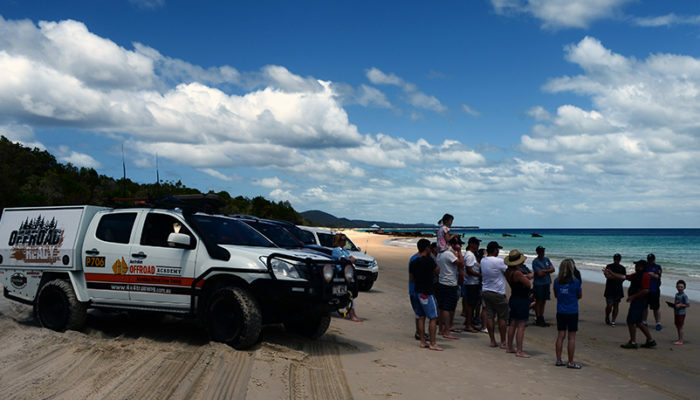 Organized by the Moreton Island Protection Committee, with student volunteers from Griffith University Environmental Science and University of Queensland Doctors for the Environment, enthusiastic workers took to the northern block of Bulwer – north of the Glamping, about Castaways and the vacant state land on Marsh Street to Moreton Street. 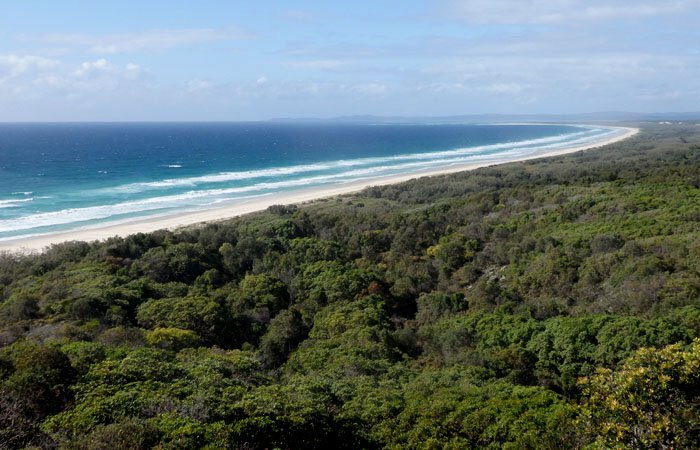 Asparagus Fern on Moreton Island is a serious threat to native bush land and rapidly becomes the dominant vegetation. Displacing native habitat and wildlife, seeds from it’s berries are spread by fruit eating birds. 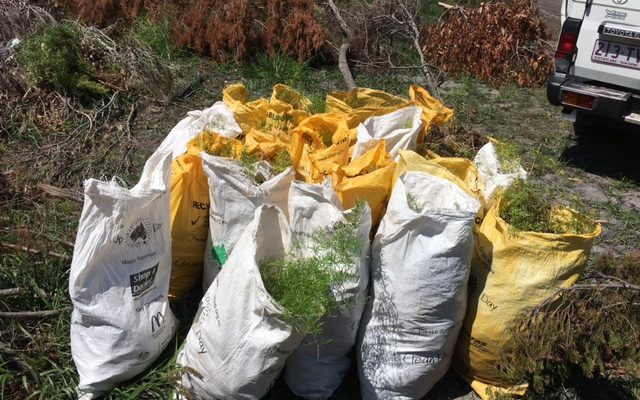 It is a Restrictive Invasive Plant under The Biosecurity Act 2014, which requires all persons to take steps to control the plant and not release it into the environment (GBO – General Biosecurity Obligation).The main target weed was Asparagus Fern (Asparagus Aethiopicus), originally brought into Australia from South Africa by the nursery industry as a garden plant. 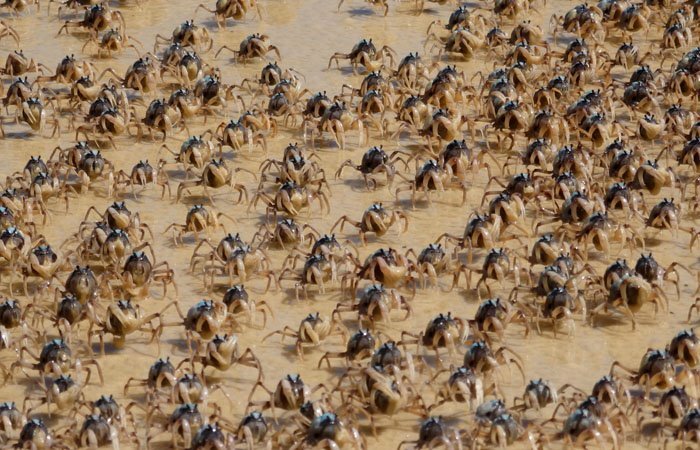 Infestations have become so severe in sandy soils in many parts of Australia, particularly at Noosa-Sunshine-Sunrise Beach, the Point Lookout headlands, and Burleigh Heads National Park, that it has become difficult to control. Asparagus Fern has low sprawling green, prickly arching above ground running stems to 2 meters plus. They flower into green to red berries 5-8mm across, and have an extensive underground weed mat with grape-like tubers. Able to withstand long periods of dry weather, Asparagus Fern grows rapidly in leaf litter. 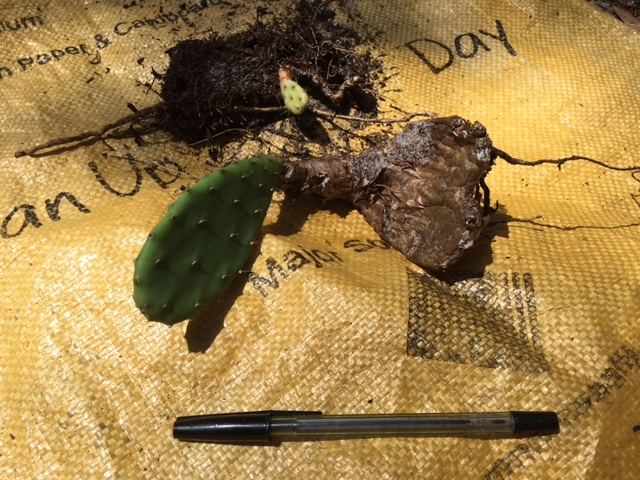 The best method of control is to snip off flowering and fruiting runners to stop seeds spreading, dig out the underground grapes and weed mat totally to prevent regrowth – and burn. 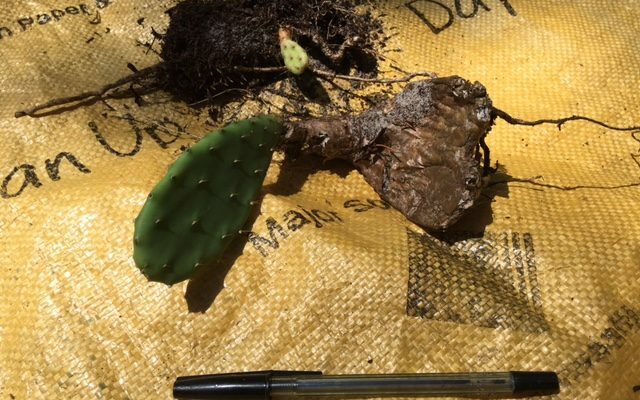 Be careful with disposal as any part of the weed mat or berries can regrow.Council treatment in our target area by poison or herbicide appeared unsuccessful. Treated runners had died, but the underground weed mat was still flourishing with new runners growing. 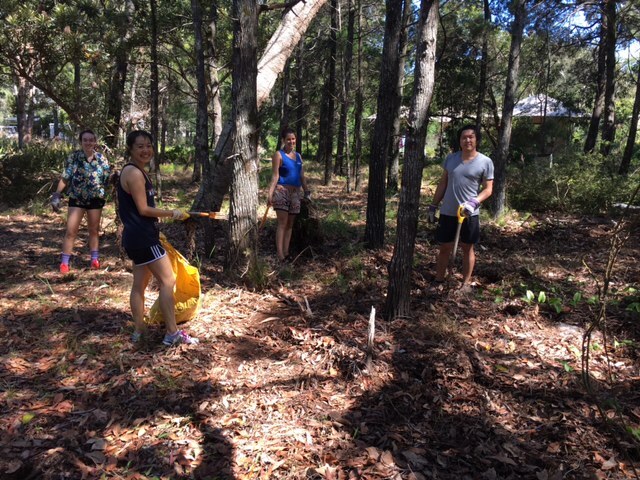 All weeds were dug out by hand. 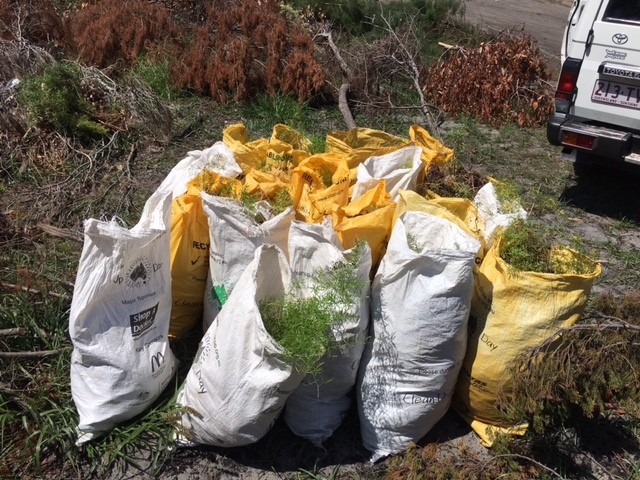 In total 81 bags of Asparagus Fern, 1 bag of Prickly Pear, and 1 bag of Nightshsde, Cobbler’s Peg and Lantana were filled and taken to the Green Waste Section of Bulwer Waste Transfer Station to be burnt. The next Bulwer Weeding Weekend is scheduled for March 18/19. Any residents, members of the public or students who would like to assist are welcome. Phone Greg Curtis on 0427 754 192. 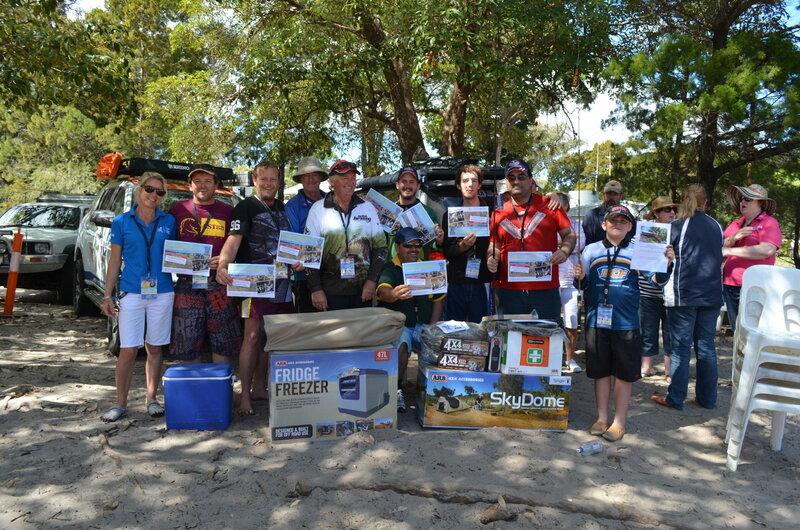 Thanks should go to Dr. Peter Davey of Griffith University; NPWS for offering free volunteer camping at Comboyuro Point Campground; Tangalooma Resort for free student ferry travel under their Environmental Fund; Moreton Island Adventures for reduced student volunteer fares; and Virginia-Nundah Fishing Club for special price student accommodation. Fed up with the “no vacancy” signs that popped up around Queensland this summer? Then you need to read this list from BMAG! 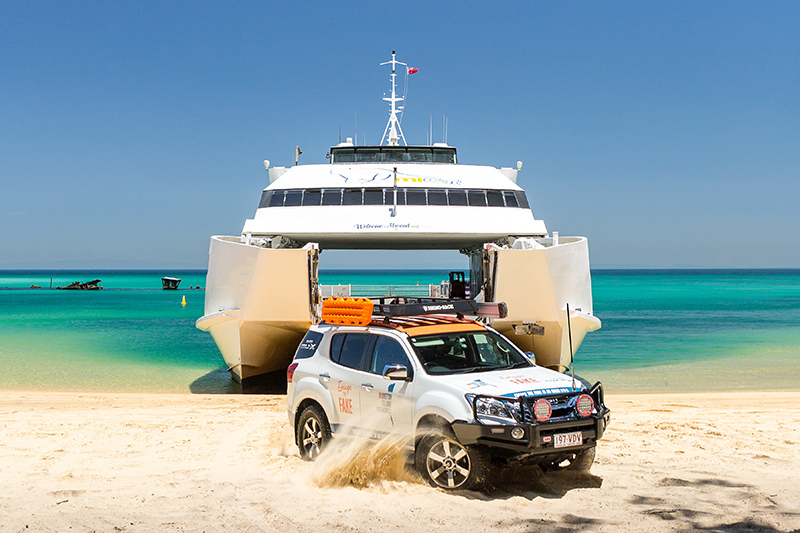 There’s so much more to Moreton Island than feeding dolphins and exploring wrecks. 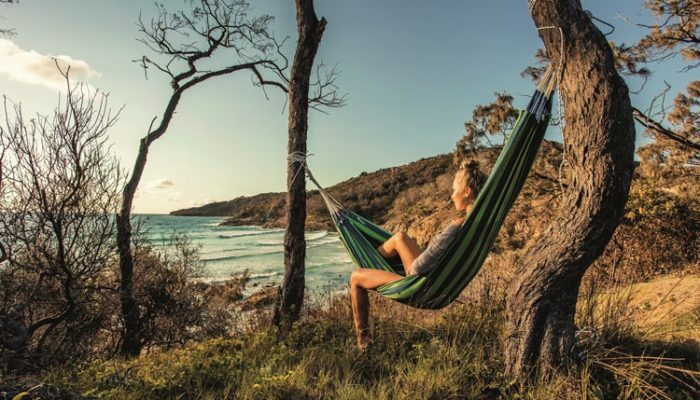 Take a Bear Grylls-style adventure to this untouched paradise, where 48 hours of beachfront accommodation is cheaper than your weekly caffeine addiction. 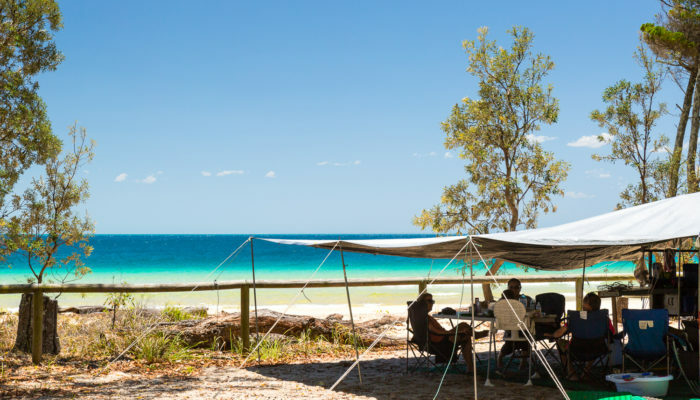 A short 75-minute ferry ride from Brisbane’s doorstep, here you can unpack your campsite a stone’s throw from the white silica sand and crystal clear blue water, and don’t forget to BYO footy, snorkel kit, fishing rod and cricket set. Set aside some time to witness an unforgettable sunset from the sand dunes. 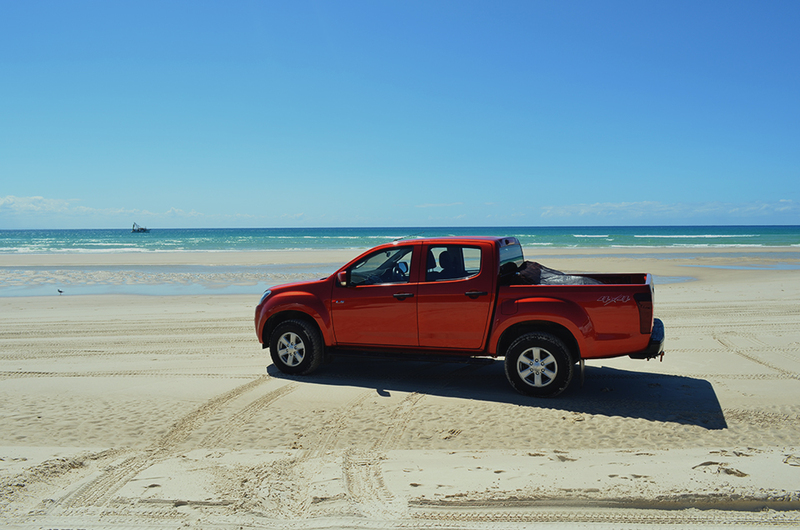 The journey up is tough – but still less heart pumping than the seven second sand surf back down. 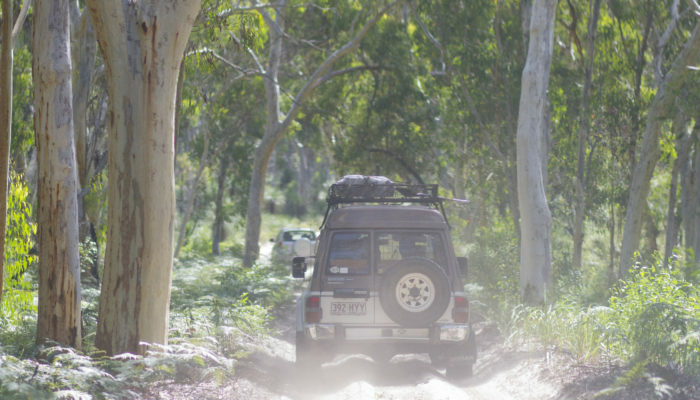 If epic 4WD quests are your kind of thing, take the path less travelled and follow 420km of unsealed island tracks, revealing secluded shorelines skirted by rock walls. 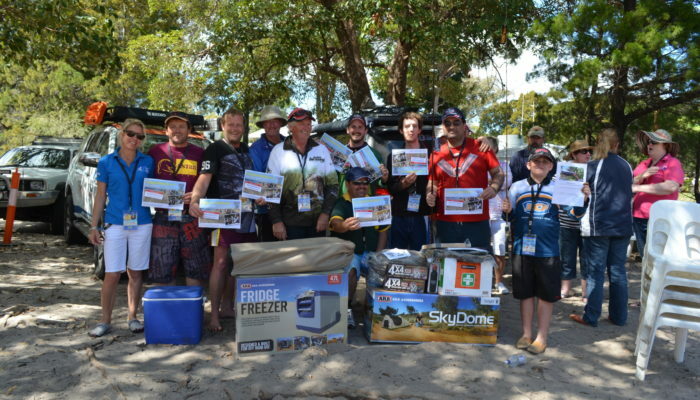 Want to go camping near Brisbane with no nasty visitors? 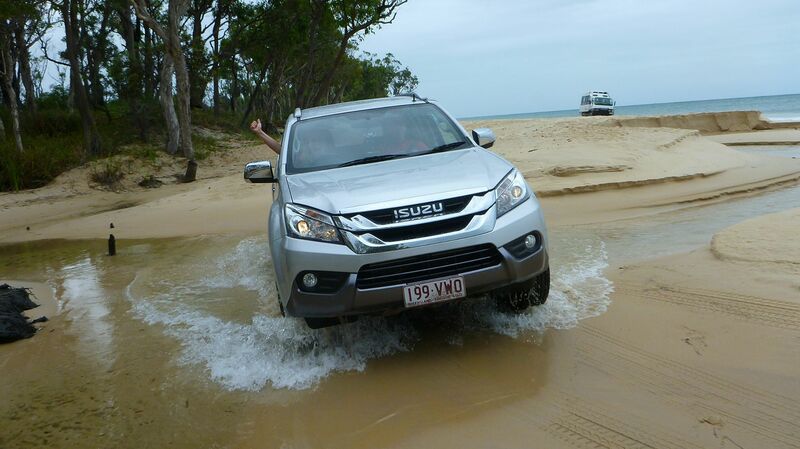 Check out beautiful Moreton Island then! 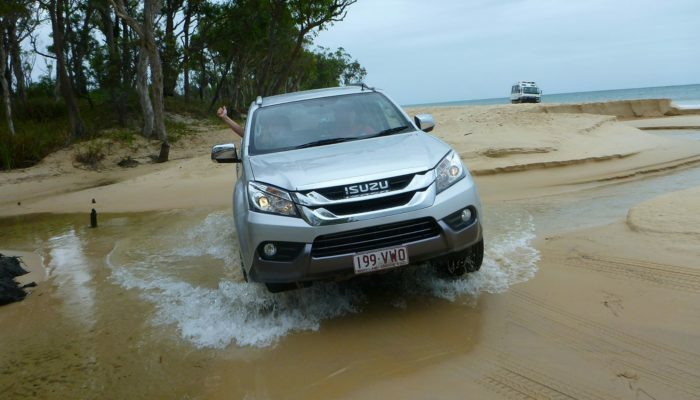 Did you know that Moreton is one of the few locations in coastal Queensland where cane toads are not established? 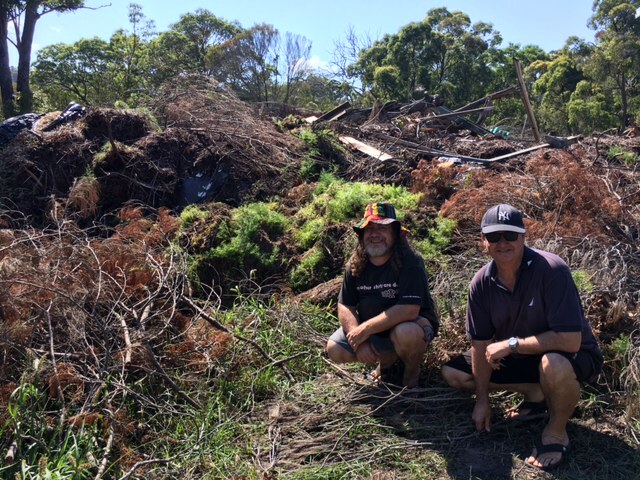 And we all want to keep it that way – check out how we can all help to prevent Moreton Island becoming one of the sad statistics in the fight against cane toads! Cane Toads are hitchhikers. 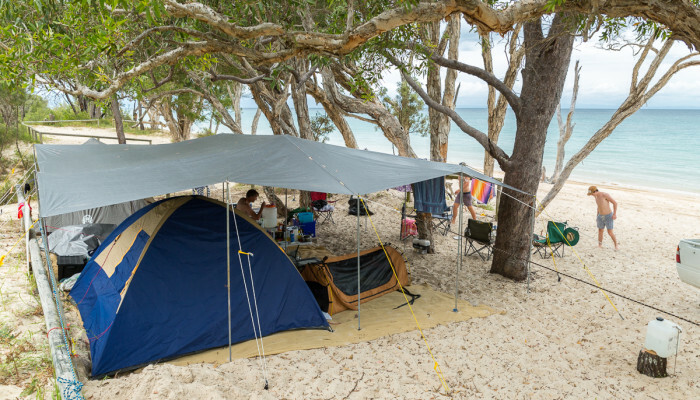 Before travelling make sure you check your firewood, fishing gear, camping gear and any spaces that a cane toad may hide. If you find one, make sure it’s disposed of humanely (see below). 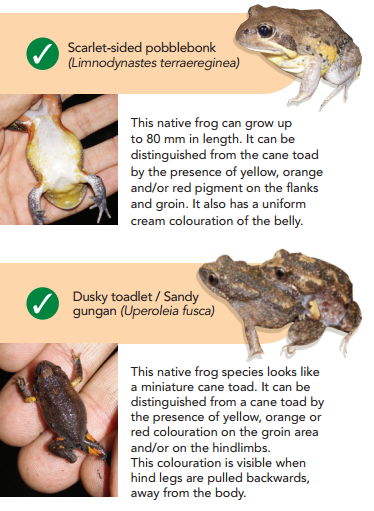 There are some native species on Moreton Island that could be mistaken for toads – see below the pictogram which shows how to distinguish these species. Generally, toads are larger than frogs and can grow bigger than 20cm – most native frogs are smaller than this. Did you know that there is now a RSPCA certified aerosol spray which is the most humane euthanasia method for toads? No more scaring mum with the frozen cane toad method! This spray is called HopStop and is widely available in hardware stores. Check out their website here for more info on where to buy this great product. Cane toad eggs develop in water as long strands of black eggs. Remove them from the water and place in sunlight to destroy. Brisbane City Council enlists the help of cane toad detection dogs to regularly visit the island to sniff out the pests. During each visit, one of the dogs and its handler undertake searches in key habitat areas. They raise awareness with residents and visitors on what they can do to ensure the island remains cane toad free. 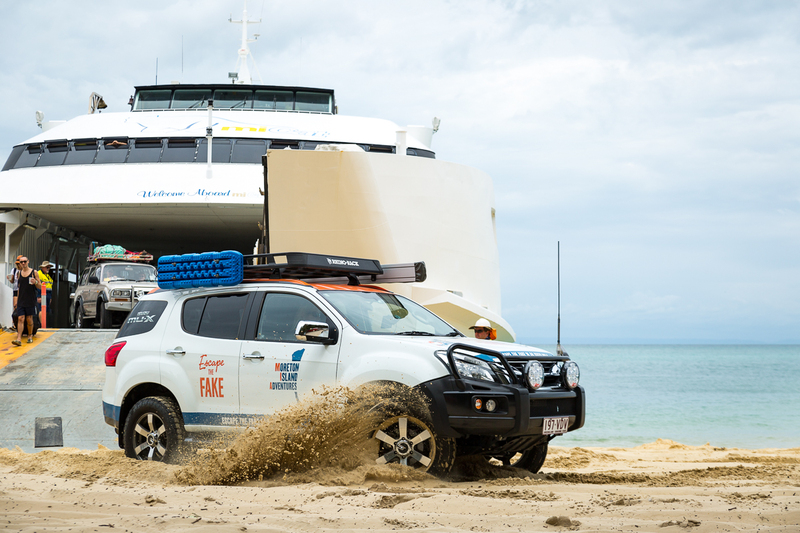 The cane toad detection dog will be doing its next survey on Moreton Island on 9-15 December 2016. 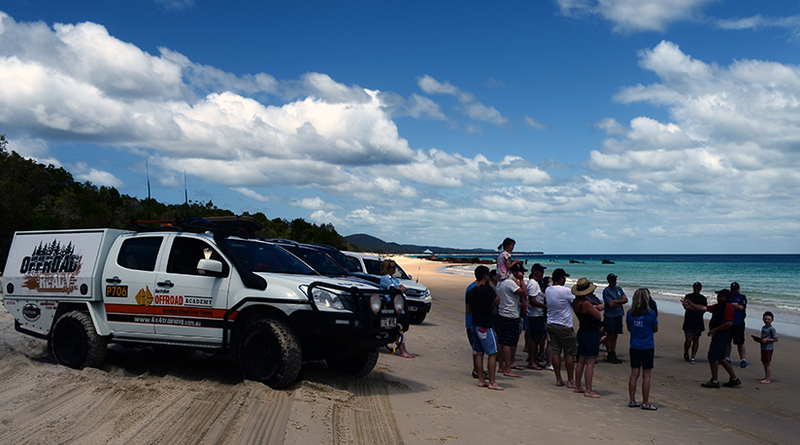 To find out more about the great work Brisbane City Council do to protect Moreton Island, click here. 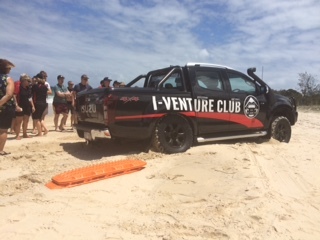 Brisbane’s International Students, along with a handful of Queensland’s social media stars, have spent a day soaking up the sun on Moreton Island. 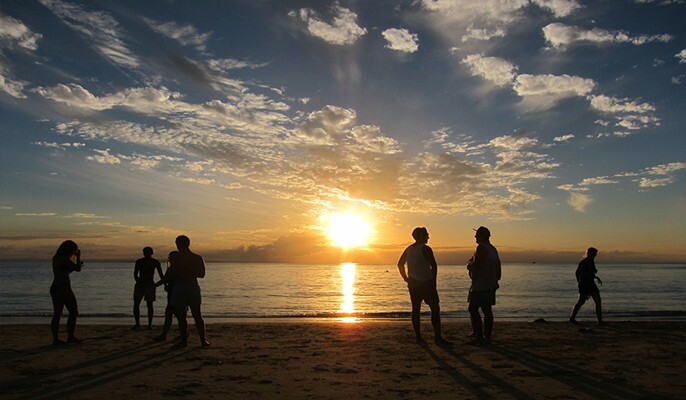 It’s hard to look past Brisbane’s position to experience weekend getaways and day escapes. The city is also known for its lush parks, historic buildings, beautiful river, edgy arts scene and evolving and maturing food scene. “We have always devoted our time and attention to the international education sector because we believe students should enjoy their studies by balancing work and play throughout their time here in Queensland,” Mr Huang said. 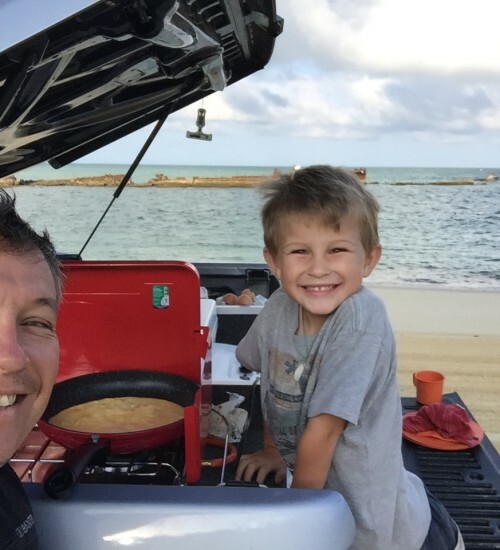 Camping with your family is a simple way to get outside and increase their health. It doesn’t seem like long ago when children were rushing to get outside and play, ride their bikes, go camping, head to the park, and generally have fun being active. How times have changed! In just a few decades, the average lifestyle in developed countries has become increasingly lethargic. People browse the internet rather than take a walk or watch a movie rather than take a bike ride on a local trail. In your own home, you have probably observed that family members are ever more connected to their gadgets and computers. The most worrying thing about this change is the effect that it has on overall health. The human body didn’t evolve to stand still, so it makes sense that you should try to get active, at least for a short time, every single day of the week. 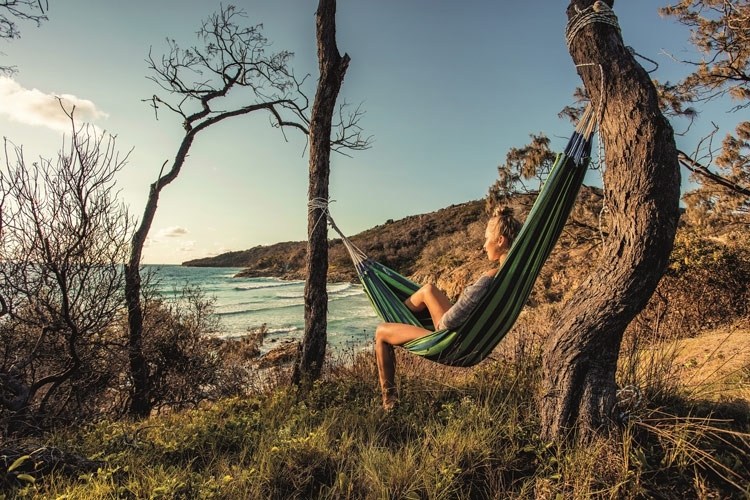 Let’s look at five ways getting outside on your next camping holiday can benefit the health of you and your family. occupied while we enjoy some quiet… What better way to do this than to go outside and disconnect from the digital world; go outside for a stroll (the kids can tag along on their bikes) or go camping – trust me the kids will be occupied doing things out of the ordinary and you might actually get some down time! 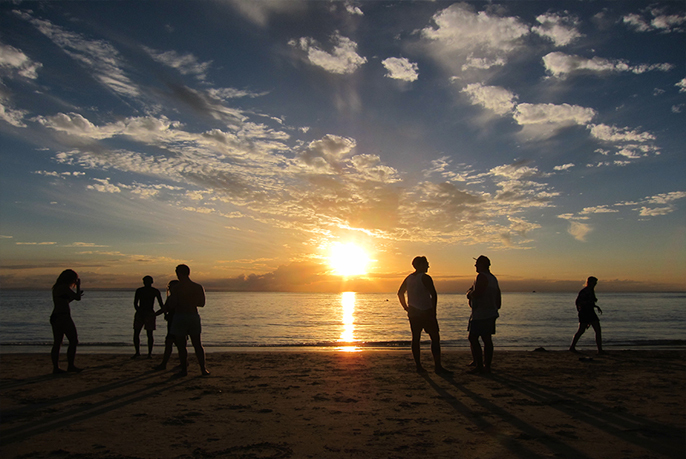 Vitamin D deficiency is common in Australia with over 30% of adults having a mild to severe deficiency. The good news is that your body can generate this vitamin simply by being in sunlight! Just by increasing your families outdoor time (for instance through a camping trip), you can gain many health benefits including strong bones, decreased risk of cardiovascular disease and a decreased risk of some forms of cancer. What better reason is there to get outdoors when the weather is nice? Just remember to slap on some sunscreen to protect yourself from UV Rays. Almost 2 in 3 adults are overweight or obese in Australia. 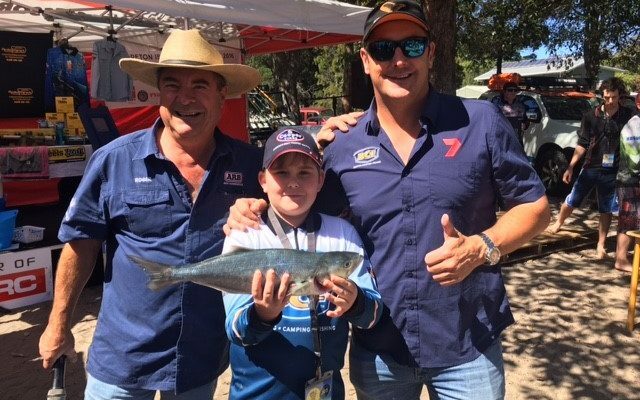 1 in 4 Australian children are overweight or obese. Obesity is the 2nd highest contributor to burden of disease. 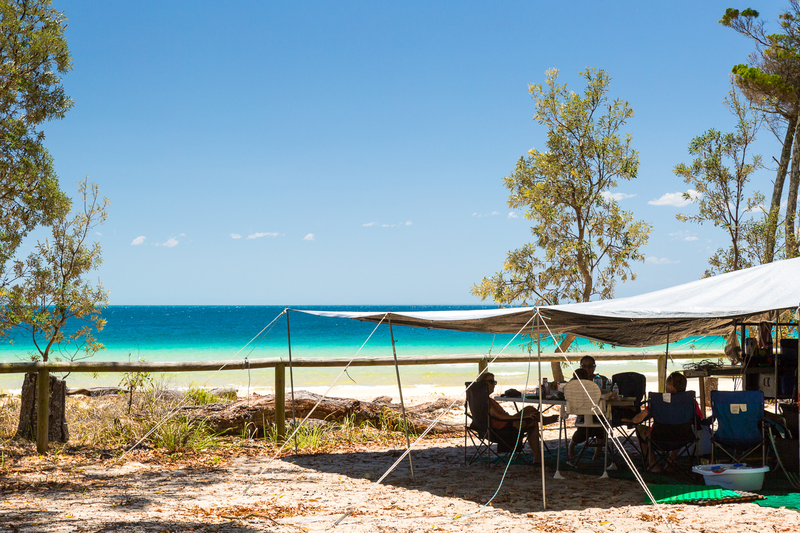 If your family spends a lot of time indoors, camping is a fantastic way to get out and increase your activity levels. 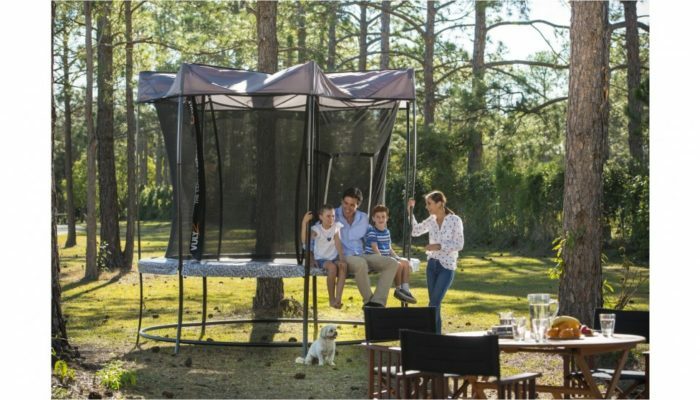 If you can’t afford the time out to spend a weekend camping, any increase in activity you can fit into your day such as going for a walk, jumping on the trampoline or kicking the soccer ball will positively influence the health of your family. 64% of children from the age of 3 – 17 own a smart phone (http://www.abc.net.au/news/2015-12-19/childrens-eyesight-damaged-from-lack-of-outdoor-time/7040942) and spend 23 hours a week on it. 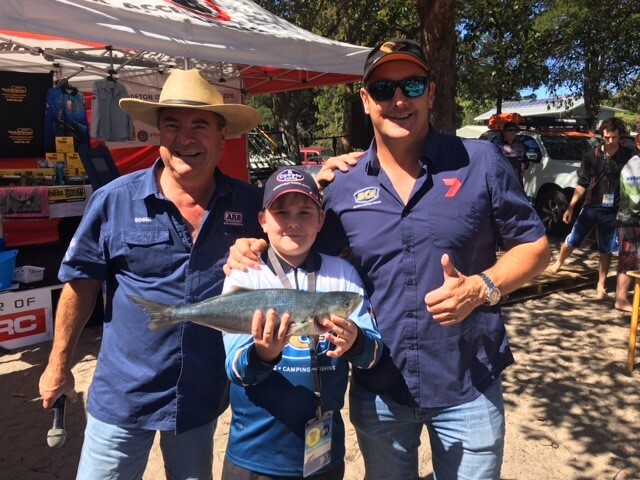 There is a worrying increase of nearsightedness being seen in our Australian children due to increased screen time, and resulting strain on eyes. The outside, natural environment is really important for your eyes as you have a variance of brightness, long distance and colour that relaxes the eye. While they play, children’s eyes are more relaxed and thus get a chance to regenerate and revive. Get out to your favorite camping spot or the backyard and ban the electronic devices. A simple time out jumping on the trampoline or swinging on the swings will give untold benefits for eye health. As you can see, getting outdoors whether it is a weekend away camping, or just a trip to the backyard or local park will have untold health benefits for your family. 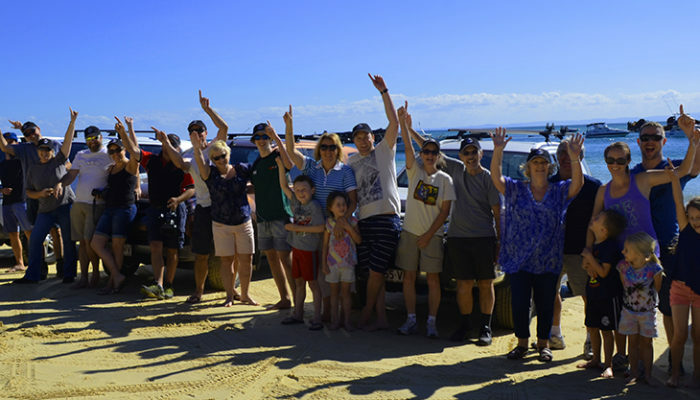 The team at Vuly Trampolines along with the team at Moreton Island Adventures support the community in encouraging kids and families to get outside, be active and enjoy Queensland’s great weather. 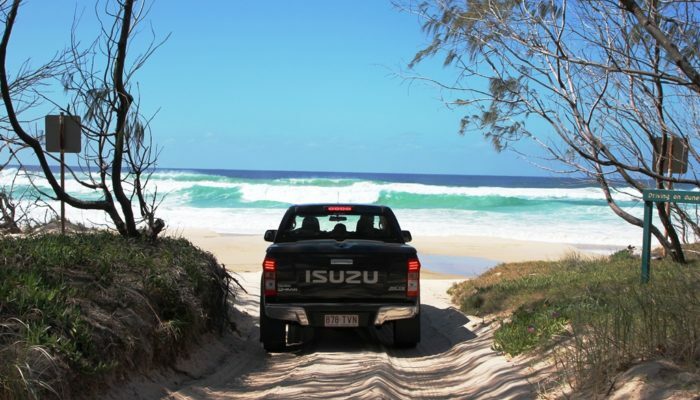 Brisbane Island – what everyone should know! 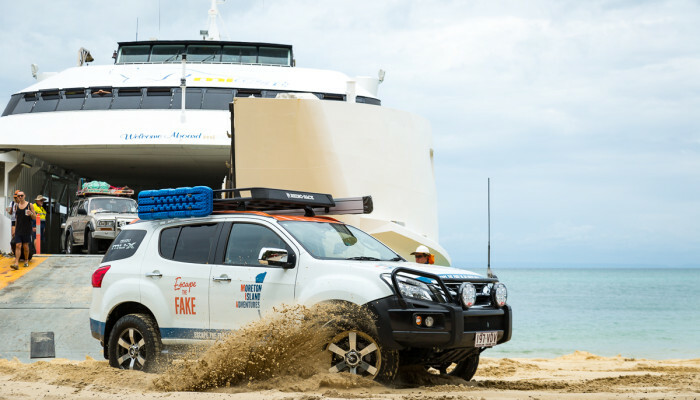 You didn’t know there was a Brisbane Island? 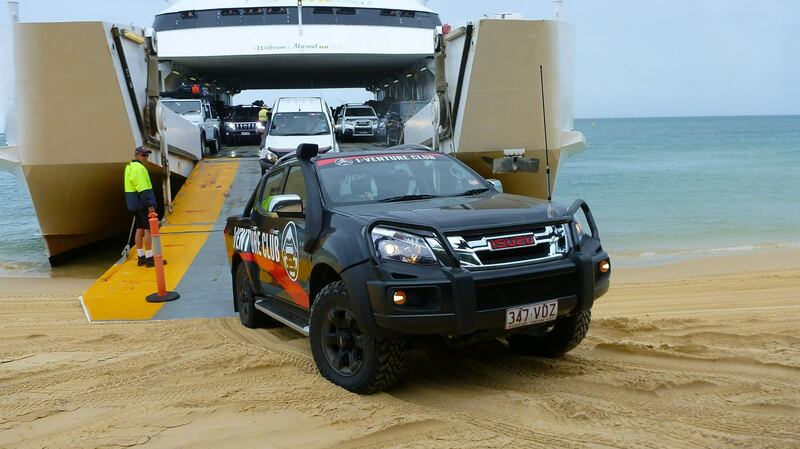 Well, you best consult with Dr Google and find out about Moreton Island! I want to share some of the amazing things there are to see and do on this much forgotten slice of paradise. 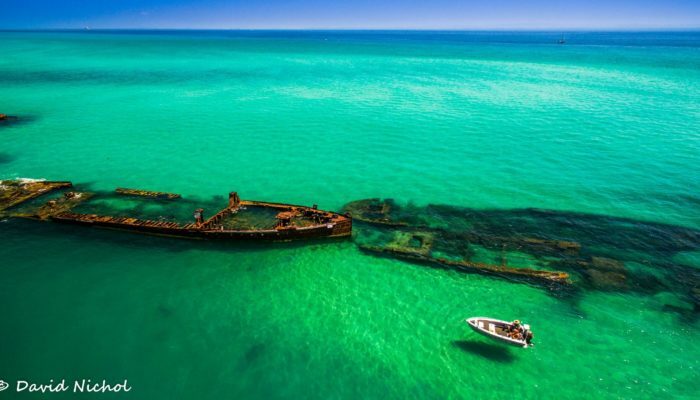 Like did you know that Moreton has Brisbane’s only shipwreck snorkelling? Or that it is home the world’s highest vegetated coastal sand dune?? If not read on for the top 10 things to experience on this amazing island! 2. Get Wrecked on Brisbane Island – but not the way you think! 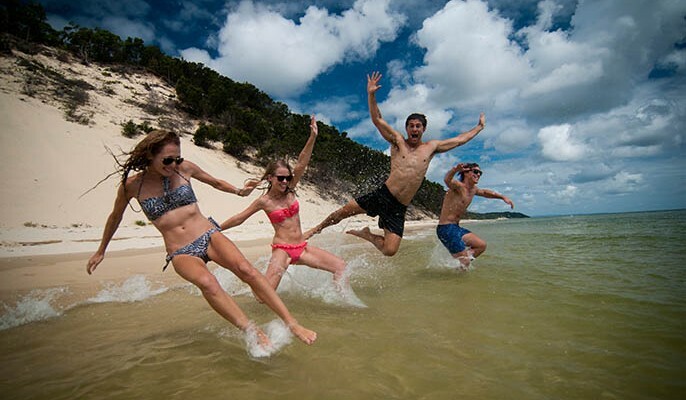 Imagine snorkelling around historic shipwrecks while thousands of tropical fish swarm past colourful coral formations. Just beside you a cormorant dives down and spears a fish right before your eyes! You must be at the Great Barrier Reef right? WRONG! 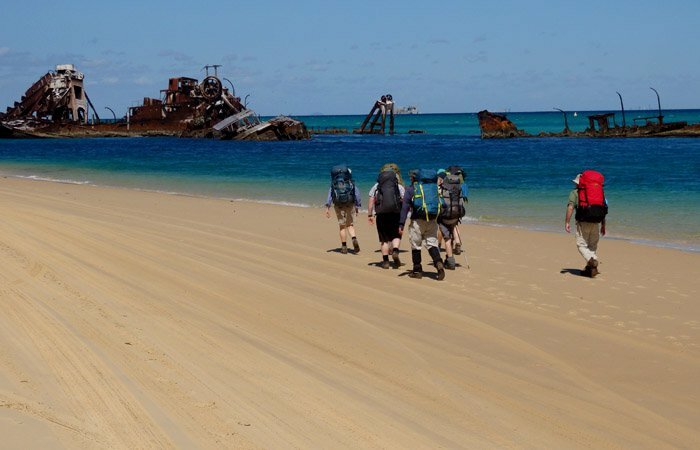 You’re on Moreton Island, snorkelling the 15 sunken ships just 20 meters from the beach – the water is that clear that you’d be forgiven for thinking you’re on some tropical island in the south pacific! 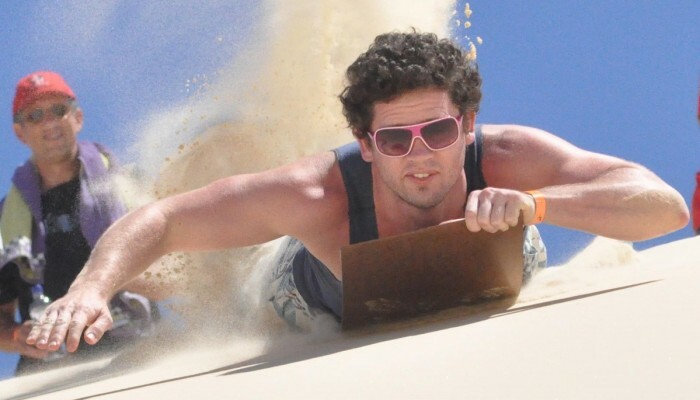 Get the kids out of their comfort zone with a bit of sandboarding in The Desert! 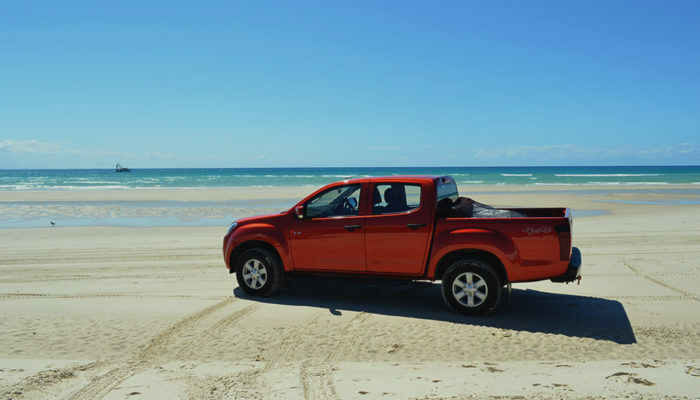 Did you know you can reach up to 35km/hr zooming down the dunes? 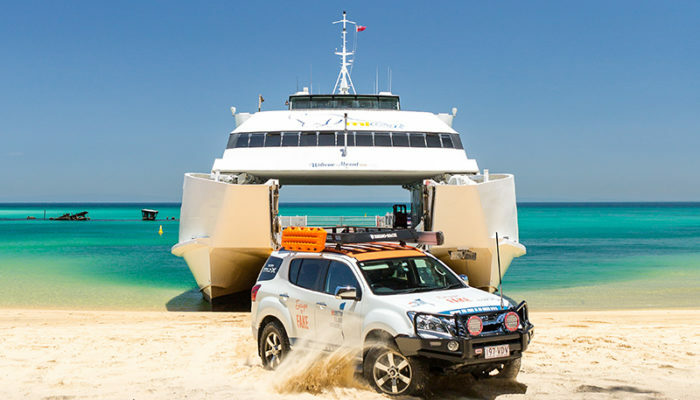 Make sure you buy a sand board before leaving the ferry (for the princely sum of $8) or bring your own for hours of sandy fun – head straight to the water afterwards for a “Moreton Shower”. 4. 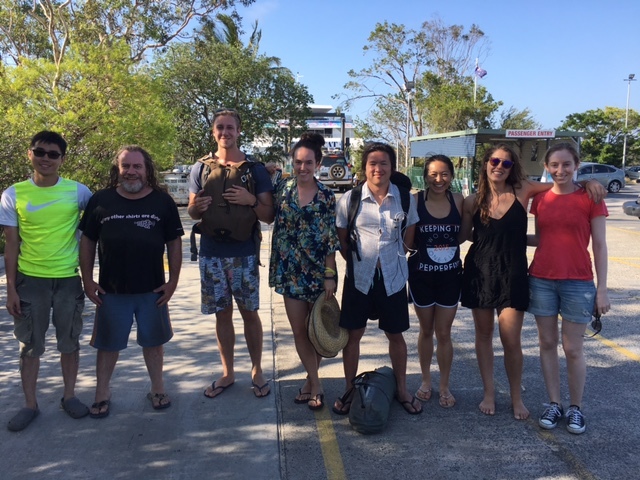 Volcanos, Whales & Convicts – what do they have in common? What on earth you ask? 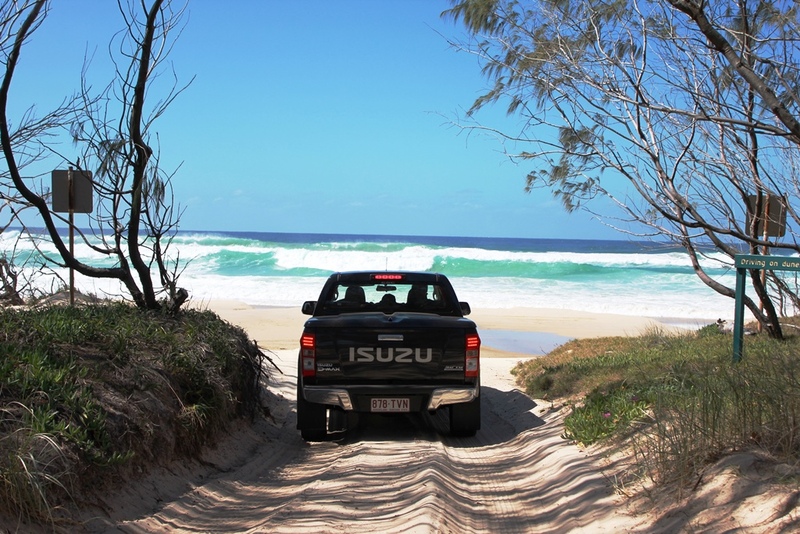 Cape Moreton is one of the most interesting spots on Moreton Island. Firstly, underneath all that sandstone is the only rock on the island – and one formed in the Triassic era at that – think Dinosaur age! 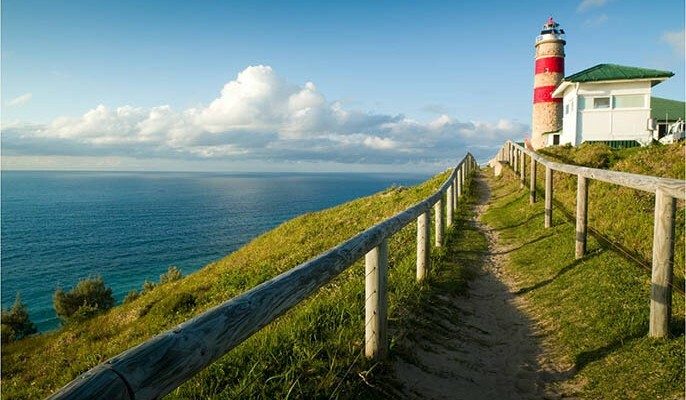 The lighthouse itself was the first built in Queensland and was built by civil prisoners (aka Convicts!). 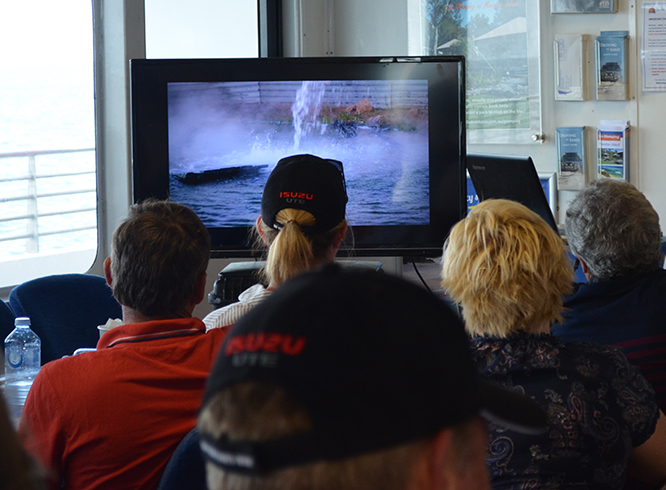 And last but not least, it’s the best place to spot earth’s modern dinosaurs – the whales from July to October every year (minus the seasickness you’d get with a traditional whale watching experience!). Sounds good doesn’t it! Well, popular myth says that if you take a dip in Blue Lagoon it will take years off your life! 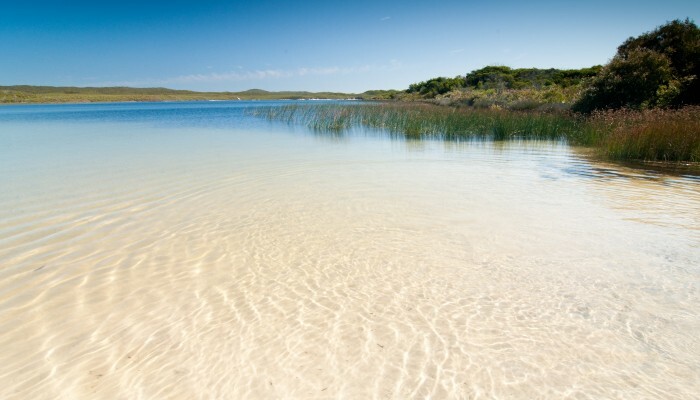 We’re not promising anything, but the tea tree laden waters of this perched lake (that’s a lake formed by sand hardening over time and forming a ‘bowl’) will definitely leave your skin soft and supple – much cheaper than that beauty treatment you were thinking about getting. 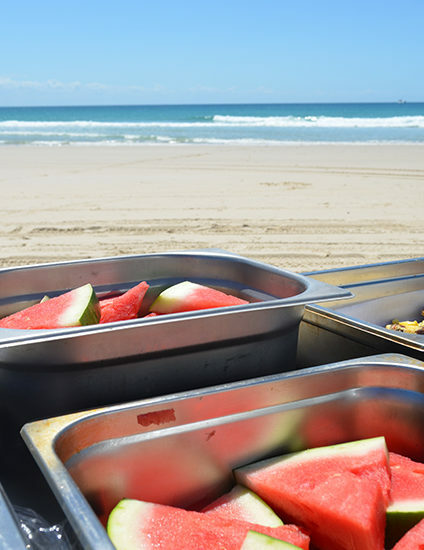 If you’re really brave we recommend diving down for some of the ‘black’ sand and plastering over your face for a true Moreton Island facial! What would put the wife in a really good mood for the rest of the day? A massage of course! Head to Champagne Rockpools at North Point and let the waves and bubbles wash away the grit of the day – the best way to get those last remaining grains of sand out of your hair! 7. Where is the perfect sunset? Everybody claims to have the perfect sunset these days don’t they? 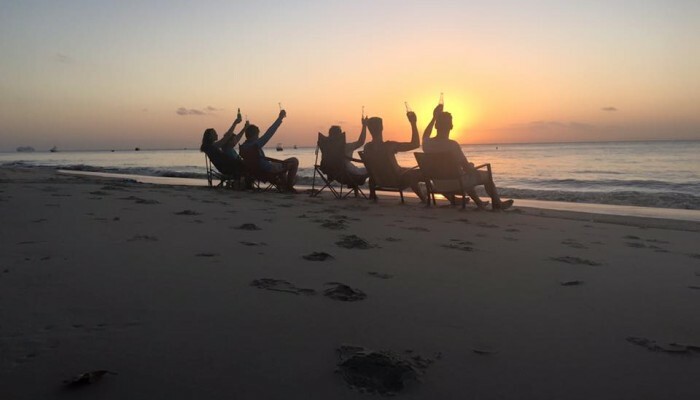 But if you want to relax with a cool beverage on the beach as the sun dips down over the water – and perhaps a few dolphins frolic by – well we think we’ve got just the place. 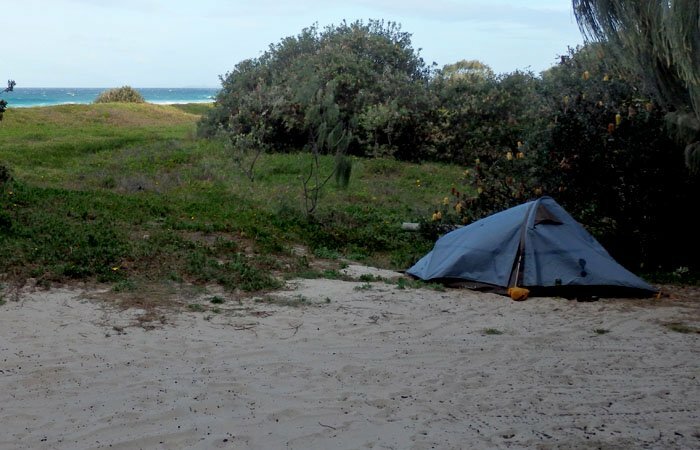 Head to North Point with your camp chair and watch as the sun falls behind the picturesque Glass House Mountains. Ahh day done! Why not tick that box and climb the highest vegetated sand dune in the world?! Mt Tempest is around 280m high and simply the best view on the whole island. 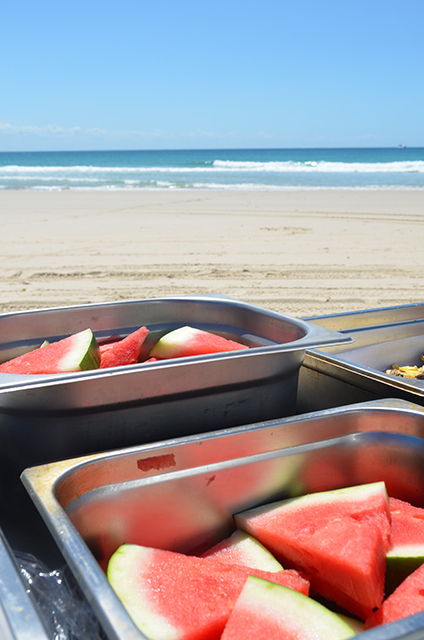 Drink in almost 360 degree views of the sparkling waters and sandy dunes. If you’re really looking for a unique adventure, pack the thermos & coffee and do a sunrise hike! 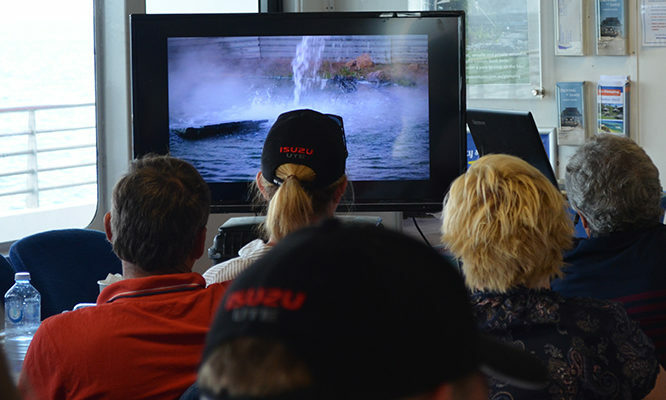 What workplace has a ‘tools down’ rule every 2pm daily to go for a swim? Well for the soldiers stationed at Rous Battery in WW2 this was exactly the situation most days on the Eastern Beach. 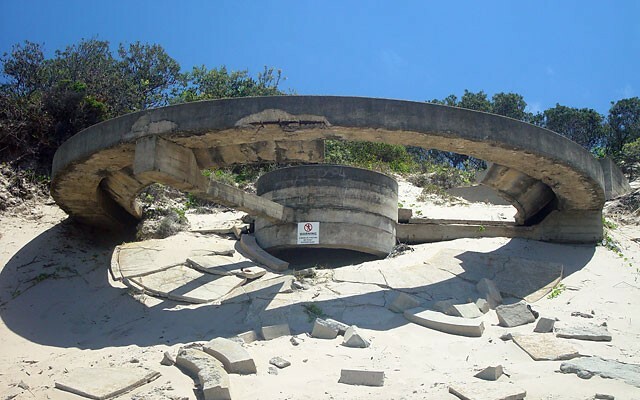 Whisk the kids back in time as you explore the old concrete bunkers from yesteryear and delve into the little known war history of Moreton Island. 10. What’s that fishy smell? 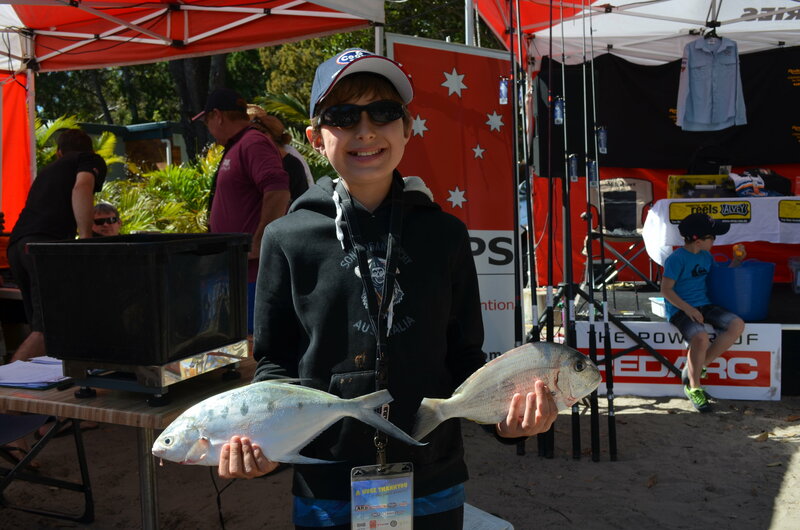 It’s the folk at the Moreton Island Fishing Classic of course! 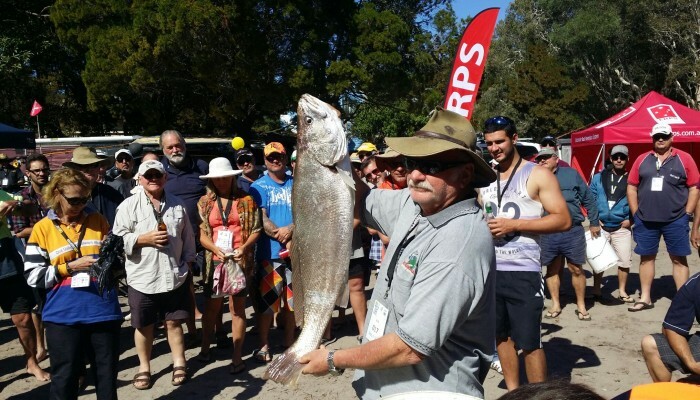 They’re the people who are not afraid to gut a fish, pitch a tent and get out and about. 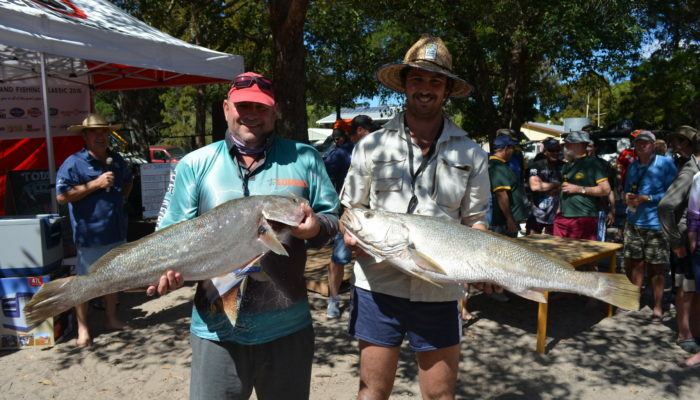 This annual comp is fast becoming the ‘must do’ fishing event of the year. 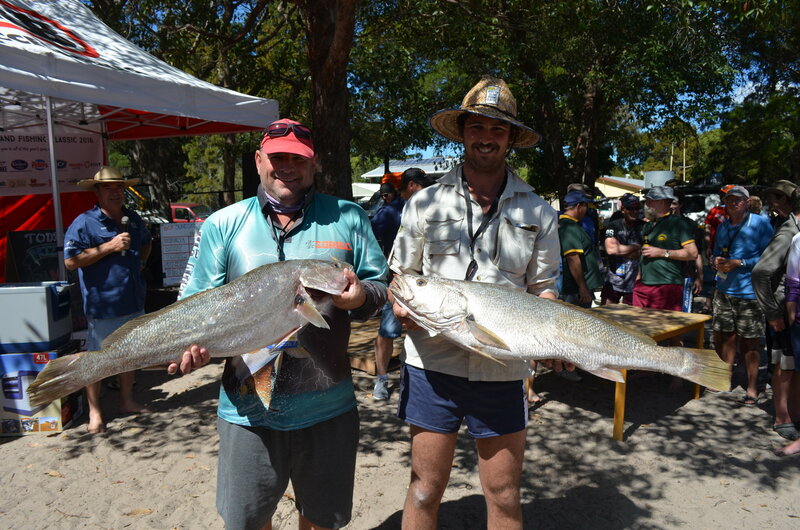 And the best bit is you don’t even have to catch a fish to win a prize!! 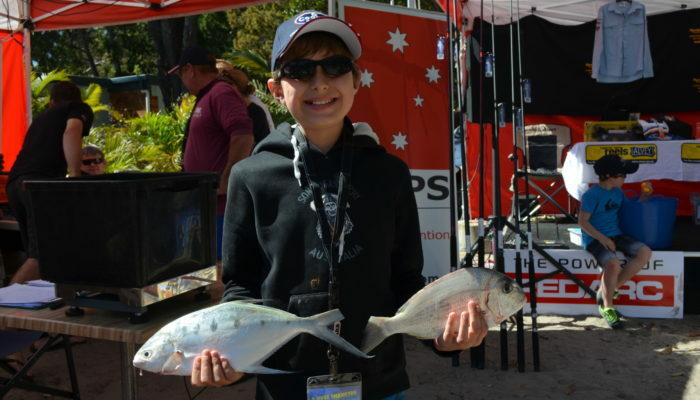 If this all sounds like your kettle of fish (pun intended) then head over to www.moretonislandadventures.com.au for more information on how to get there quick.